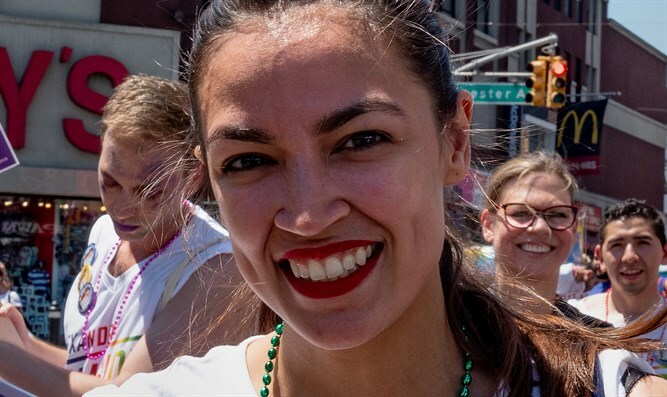 After lauding 'lovely' talk with UK Labour chief Jeremy Corbyn, congresswoman Ocasio-Cortez vows to investigate claims of anti-Semitism. Rep. Alexandria Ocasio-Cortez, D-N.Y., who is emerging as a leader of Democratic progressives, told a Jewish writer that she would reach out to discuss allegations that Jeremy Corbyn, the British opposition leader, is anti-Semitic. Corbyn, the leader of the Labour Party, wrote Sunday on Twitter that he had spoken with Ocasio-Cortez. “Let’s build a movement across borders to take on the billionaires, polluters and migrant baiters, and support a happier, freer and cleaner planet,” he said. “We cannot and will not move forward without deep fellowship and leadership with the Jewish community,” she said. “I’ll have my team reach out.” She signed the tweet with a heart icon. Some 85 percent of British Jews believe Corbyn, who has long associated with anti-Israel radicals and in at least one case a Holocaust denier, is anti-Semitic and they say he is responsible for a hostile environment in a party that for over a century was a natural home for Jews.